The overall design of the hydration pack is shaped for a secure and comfortable fit staying close to your back and contoured over your shoulders, but away from your neck. 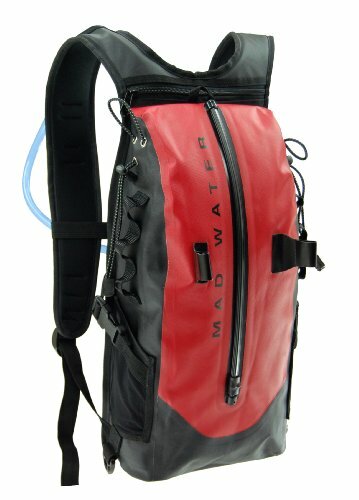 This unique design provides a lower center of gravity to the pack, increasing the comfort and stability of the person wearing the pack. And when cycling with the Sports Hydration Pack, loosening the tension on the extra long shoulder straps of this aerodynamic pack allow the rider to further lower his/her center of gravity and increase the stability and control of the bike. Being prepared for any environmental conditions, the lightweight padded back and shoulder straps are designed for wet or dry comfort. And the list of additional features seems to go on for miles.